I’ve flown a number of jets with autothrottles, Gulfstreams, Embraers, Falcons and Citations, and even though I didn’t fully understand the appeal of the technology before I flew with it 15 years ago now, I developed a deep appreciation of the safety benefits autothrottles bring to flying jets. 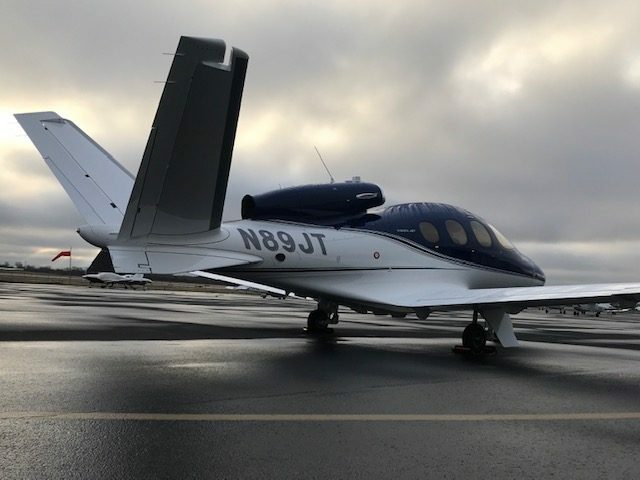 But with the introduction of its Generation 2 Cirrus Vision Jet, Cirrus created something that was a brand new experience for me: a single-engine, single-pilot jet with a Boeing 787 level of technological sophistication. And truth be told, the Vision Jet makes better use of it than Boeings or Airbus beauties do because when you’re flying single pilot, the fewer things you need to keep track of, the more safely you can fly, especially when things get busy. I have single pilot type ratings in a jet, the Cessna CitationJet CJ through CJ4, none of which have autothrottles, yet at least (and that’s me, not Textron speculating here), and I know from simulator experience that when things get busy with emergencies, managing airspeed and engine health on non-FADEC, non-autothrottle engines make already challenging circumstances even more difficult to safely manage. With the G2, Cirrus has improved the plane in multiple ways, and not just by adding the Garmin autothrottles (which I’d flown before on a couple of Citations). They cleaned up the wing, eliminating aerodynamic fences between the flaps and ailerons, along with removing the vortex generators. Cirrus also worked with engine maker Williams International to turn up the wick on the FJ-33 turbofan above 24,000 feet (essentially by upping the allowable temps) so the jet can climb faster to its new RVSM ceiling of 31,000 feet. The added oomph allows the jet to go faster at its previous ceiling of FL 280—we had it up to 317 knots true at 280—while allowing it to cruise at its previous numbers (actually, a bit faster in my test of it) while burning less fuel and stretching the range by about 150 nm, a very substantial increase. Passengers will enjoy the numerous interior upgrades, too, the most noteworthy of which is the addition of more comfortable, more fully-padded second-row chairs (there are three rows of seats in the seven-seat jet). Cirrus also added a removable console between the two second-row seats (which I did not get a chance to see). The console gives passengers a place to store their stuff and set their drinks and tablets and quarterly reports. Of the jets I’ve spent time in, the SF50 is the easiest jet to fly, and not by a little. That fact is not an accident. The design of its systems, a collaboration mainly between Cirrus and Garmin International, is nothing short of brilliant. Takeoff is pretty simple, though on our pre-takeoff briefing instead of discussing V1 cuts (there is no second engine) we briefed what to do if the one and only engine were to fail, depending, of course, on what altitude you get to before the engine stops doing its job. It is, I admit, a pretty remote possibility with the FJ33s, a development of the FJ44, which is possibly the most time-tested private jet engine ever. And remember, there’s a chute, too. Just as you do with the Cirrus SR22 single-engine piston plane, you steer the SF50 with differential braking. On the takeoff roll, you need to get it rolling–with autothrottles armed, you just advance the throttle to the stops--before the rudder becomes effective. Rotate at around 90 knots—the software calculates the exact V-speeds for you before flight—flip the gear up (this Cirrus does have retracts! ), retract the flaps, and then climb away. But the automation goodness doesn’t stop there. On the climb, the combination of the Garmin Perspective Plus avionics suite, FADEC and autothrottles not only keep the engine within limits but also keep you below the airspace speed limit, 200 knots in the Austin Class C we were departing from, for instance. For more details on the flight, including some additional, incredibly impressive autothrottle tricks, check out our cover story in an upcoming issue of Plane & Pilot. Cost for the G2 Vision Jet is around $2.7 million for the jet with all the goods, including autothrottle, updated seating, paint scheme and more. Click on the buttons below to see more photos of the Cirrus Vision Jet Generation 2.